Join us as we enjoy the beauty of stained glass. 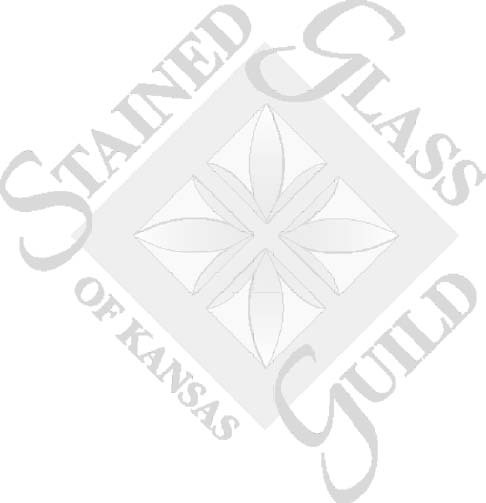 The Stained Glass Guild of Kansas is a organization of Kansas individuals interested in fostering greater understanding and appreciation of stained glass art in our state. The organization provides activities for membership participation in craft training and related information through sharing of new products, processes and techniques. It is open to all persons 16 years and older, whether a seasoned professional or the new comer who wants to know how to make a simple light catcher. Please get in touch to ask questions or offer comments.